Technical Sales Manager and resident bakery expert Finbar Haughey focuses on showcasing our extensive product portfolio to current and potential customers using our in-house test bakery and kitchen. Finbar has 25 years’ experience in production, operations and new product development with some of Northern Ireland’s best known bakery organisations. He is also a part time lecturer in the Bakery Department of Belfast Metropolitan College. Here he reveals the top three most notable baking trends for 2019. 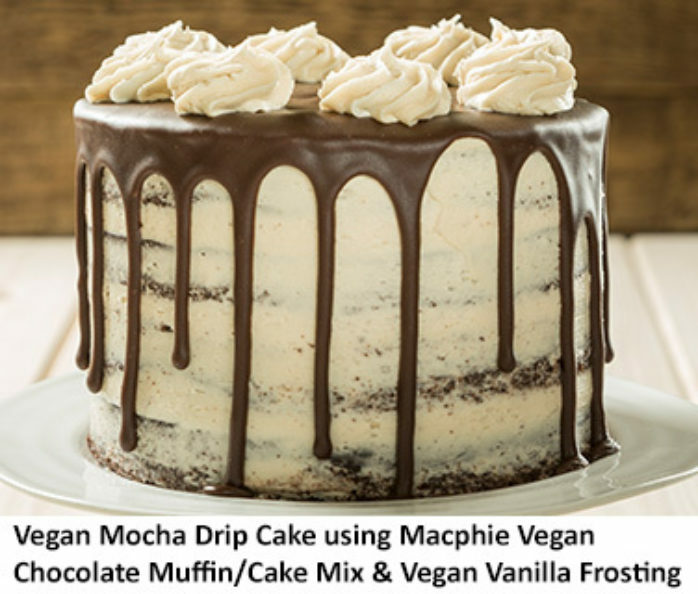 Vegan is one of the fastest growing on-pack claims for food & drink launches globally over the last five years[i] and over 7 million people have switched to a vegetarian diet, according to Macphie, who were first to market with a range of vegan certified cake mixes & frostings for industry professionals. According to Andrew Ingredients, this is a long-term cultural change and the bakery industry must invest significantly to meet consumer demand. 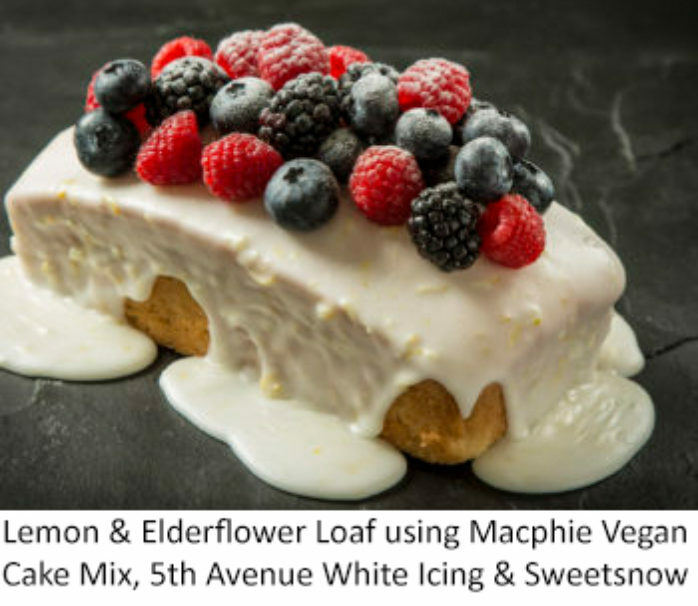 The new Macphie vegan range stocked by Andrew Ingredients has been accredited by the Vegetarian Society, meeting strict criteria including free from animal derived ingredients, GMO-free and free from animal testing, which provides real confidence to the consumer and includes chocolate and plain mixes that deliver muffins, loaf cakes, and traybakes, as well as complementary ready-to-use frostings. 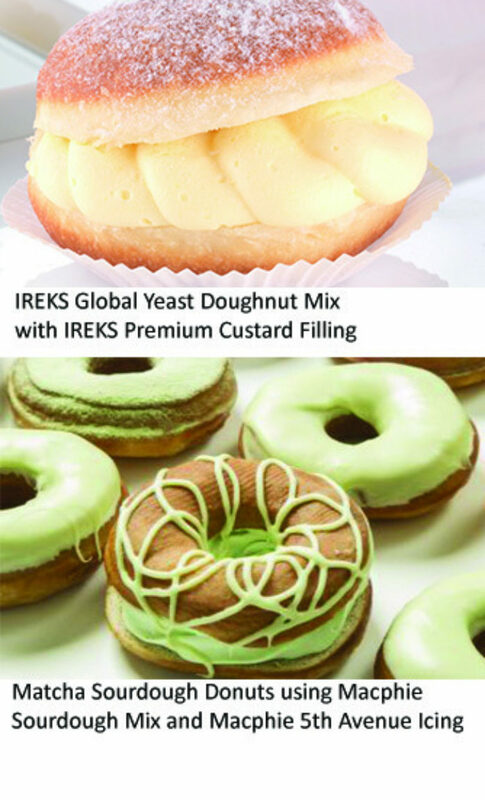 Other Vegan products available from Andrew Ingredients include cake mixes from both IREKS and Martin Braun. Donut Knock it Until You’ve Tried it! Speciality donuts have become one of the hottest trends in recent baking history, from their extravagant flavours, unusual toppings and luxurious ingredients. Andrew Ingredients works with customers to develop their donut concepts, with the aim to perfect a slightly crisp outside, and a chewy soft middle. Although the traditional glaze and a raspberry jam filling remain popular, consumers today are looking for more indulgent foods and gourmet toppings and fillings such as salted caramel, lemon meringue, alcohol infused, parma violet and matcha to name just a few. This new donut trend may have started in food stalls across America, to meet the demand for grab n’ go, but Ireland is still experimenting with this ‘hole’ new craze with more and more retailers making a name for themselves with an original offering of the decadent sweet treat.